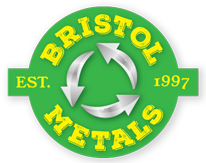 Contact Bristol Metals for the best scrap metal prices in Canterbury. We provide a scrap metal recycling service that deals with all types of metal in Canterbury. From metal plates to old cars, we can take your scrap metal off your hands, put it to good use and pay you cash! We are responsible scrap metal recyclers. Our friendly team are here to help. We provide a scrap metal recycling service that deals with all types of metal in Canterbury. From metal plates to old cans, we can take your scrap metal off your hands, put it to good use and pay you cash. Call into our centrally located yard at 345 Wilsons Road with your scrap metals and leave with cash in your pocket. All we require is Government issued photo ID, such as your driver’s licence or passport. For free pick up of your scrap metal in Canterbury you can’t go past Bristol Metals. We have a fleet of vehicles on hand to facilitate the pickup of any type of scrap. We have a range Skips, Bins and Drums that can be placed at your site for ease of use, making your scrap handling more convenient and with no cost to you. No matter what size or type of business you have, we can individually customise a solution for your specialty requirements. Have you got a heap of scrap metal taking up space in your yard? Bristol Metals in Canterbury can not only take it off your hands, but also pay you good cash for your efforts! We will provide a friendly and reliable service with free pick up for your scrap metal. Simply call us today and let us know what type of scrap metal you have. From old car bodies to building scraps, you might be surprised at what you can get rid of. If you bring in photo identification along with your scrap metal, we can pay you cash on the spot. This makes it one of the quickest and easiest ways to earn a few extra dollars in Canterbury. Call us today! Customers can either have us pick up their scrap metal from their homes or business premises or they can bring them directly to our yard at 345 Wilsons Rd. Our yard is fully equipped with electronic and certified scales and forklifts to ensure quick and effortless unloading. Our friendly staff will help you weigh and unload what you bring in. Awesome fast trade, I didn't expect too much from the metal but i was [pleasantly] surprised! Would use again. Fast friendly honest guys. Great service.